The Evanston Water Plant, 555 Lincoln St., is at the center of the city’s water system. The city is currently in talks with Skokie to reach a renewed agreement on a water deal. Officials from Evanston and Skokie are aiming to reach a renewed agreement on a water deal by the end of February, city manager Wally Bobkiewicz told aldermen Monday evening. The existing deal between Evanston and Skokie began in 1997 and expires at the end of this month. Bobkiewicz said discussions will continue in the next few weeks, and he hopes to present an agreement with Skokie at the City Council meeting on Feb. 27. Bobkiewicz said while officials from Evanston and Skokie have had “cordial” talks and agree on wanting to reach a deal on a 10-month contract extension by the end of the month, officials have not yet agreed on the adjusted rate at which water will be charged. “There is clearly a difference of opinion over the value of Evanston water,” Bobkiewicz said. 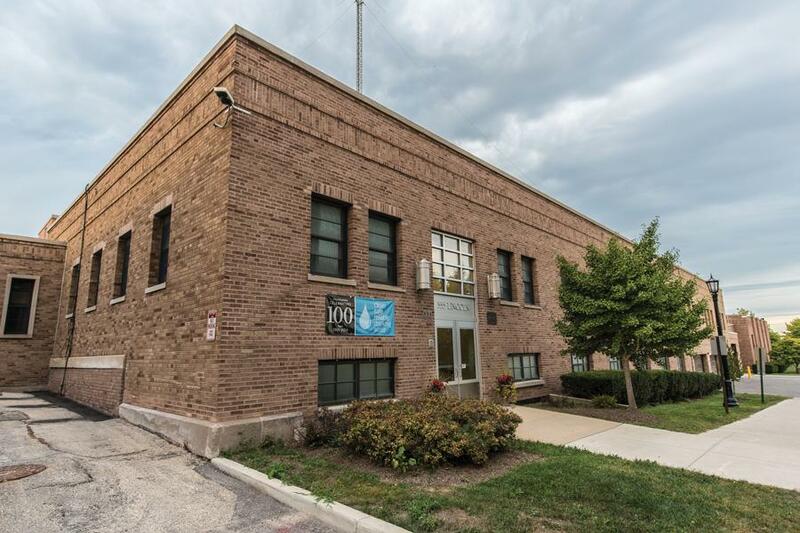 Currently, Skokie’s water rate includes costs for water treatment and a low percentage of the cost of distribution of water to the Evanston border at three locations: Oakton Street, Emerson Street and Gross Pointe Road, according to council documents. Skokie receives the water without repumping it into its distribution system. “It’s my hope that we come to a collegial agreement, but the bottom line is the residents and ratepayers of Evanston need to be properly compensated not only for the treatment of water but for the delivery of water to the village of Skokie,” Bobkiewicz said. Evanston also currently sells water to several municipalities that are part of the Northwest Water Commission. Aldermen approved a 40-year water supply agreement with Niles and Morton Grove during Monday’s City Council meeting. Due to the negotiations with Niles and Morton Grove, talks with Skokie officials over renewing the water supply deal moved slowly, Bobkiewicz said. He added that officials hope to reach an eventual long-term agreement at the expiration of the proposed 10-month agreement. Bobkiewicz said talks with the village of Lincolnwood, Ill., which has a water contract with Chicago expiring at the end of 2019, are continuing and that he hopes to have an update in March. Evanston staff have provided Lincolnwood with a proposed rate and would provide water to Lincolnwood through a delivery point at Oakton Street and McCormick Boulevard, Bobkiewicz said. Lincolnwood would then build its own pipe for connection to the delivery point. Skokie currently pays $1.06 per 1,000 gallons of water at the wholesale rate. Chicago charges $3.81 per 1,000 gallons per water. Mayor Elizabeth Tisdahl said she agrees with Bobkiewicz that the issue around the value of Evanston’s water and the rate to charge Skokie is an “equity” issue. Tisdahl said she still hopes an agreement can be reached. “I have no intention of turning off the spigot to Skokie,” Tisdahl said.